Many parents are looking for ways to save for their child’s education and a 529 Plan is an excellent way to do so. Even better, is that thanks to the passage of tax reform legislation in 2017, 529 plans are now available to parents wishing to save for their child’s K-12 education as well as college or vocational school. You may open a Section 529 plan in any state, and there are no income restrictions for the individual opening the account. Contributions, however, must be in cash and the total amount must not be more than is reasonably needed for higher education (as determined initially by the state). There may also be a minimum investment required to open the account, typically, $25 or $50. Each 529 Plan has a Designated Beneficiary (the future student) and an Account Owner. The account owner may be a parent or another person and typically is the principal contributor to the program. The account owner is also entitled to choose (as well as change) the designated beneficiary. Neither the account owner or beneficiary may direct investments, but the state may allow the owner to select a type of investment fund (e.g., fixed income securities), change the investment annually as well as when the beneficiary is changed. The account owner decides who gets the funds (can pick and change the beneficiary) and is legally allowed to withdraw funds at any time, subject to tax and penalties (more about this below). Unlike some of the other tax-favored higher education programs such as the American Opportunity and Lifetime Learning Tax Credits, federal tax law doesn’t limit the benefit only to tuition. Room, board, lab fees, books, and supplies can be purchased with funds from your 529 Savings Account. Individual state programs could have a more narrow definition, however, so be sure to check with your particular state. Distributions from 529 plans are tax-free as long as they are used to pay qualified higher education expenses for a designated beneficiary. Distributions are tax-free even if the student is claiming the American Opportunity Credit, Lifetime Learning Credit, or tax-free treatment for a Section 530 Coverdell distribution–provided the programs aren’t covering the same specific expenses. Qualified expenses include tuition, required fees, books, supplies, equipment, and special needs services. For someone who is at least a half-time student, room and board also qualify. Also, starting in 2018, “qualified higher education expenses” include up to $10,000 in annual expenses for tuition in connection with enrollment or attendance at an elementary or secondary public, private, or religious school. Note: Qualified expenses also include computers and related equipment used by a student while enrolled at an eligible educational institution; however, software designed for sports, games, or hobbies does not qualify unless it is predominantly educational in nature. Income Tax. Contributions made by the account owner or other contributor are not deductible for federal income tax purposes, but many states offer deductions or credits. Earnings on contributions grow tax-free while in the program. Distribution for a purpose other than qualified education is taxed to the one receiving the distribution. In addition, a 10 percent penalty must be imposed on the taxable portion of the distribution, comparable to the 10 percent penalty in Section 530 Coverdell plans. Also, the account owner may change the beneficiary designation from one to another in the same family. Funds in the account roll over tax-free for the benefit of the new beneficiary. Gift Tax. For gift tax purposes, contributions are treated as completed gifts even though the account owner has the right to withdraw them – thus they qualify for the up-to-$15,000 annual gift tax exclusion. One contributing more than $15,000 may elect to treat the gift as made in equal installments over that year and the following four years, so that up to $75,000 can be given tax-free in the first year. Estate Tax. Funds in the account at the designated beneficiary’s death are included in the beneficiary’s estate – another odd result, since those funds may not be available to pay the tax. Funds in the account at the account owner’s death are not included in the owner’s estate, except for a portion thereof where the gift tax exclusion installment election is made for gifts over $15,000. For example, if the account owner made the election for a gift of $75,000 in 2018, a part of that gift is included in the estate if he or she dies within five years. Tip: A Section 529 program can be an especially attractive estate-planning move for grandparents. There are no income limits, and the account owner giving up to $75,000 avoids gift tax and estate tax by living five years after the gift, yet has the power to change the beneficiary. State Tax. State tax rules are all over the map. Some reflect the federal rules, some quite different rules. For specifics of each state’s program, see http://www.collegesavings.org. Considering the differences among state plans, the complexity of federal and state tax laws, and the dollar amounts at stake, please call the office and speak to a tax and accounting professional before opening a 529 plan. What should you do if you already filed your federal tax return and then discover a mistake? First of all, don’t worry. In most cases, all you have to do is file an amended tax return. But before you do that, here is what you should be aware of when filing an amended tax return. Taxpayers should use Form 1040X, Amended U.S. Individual Income Tax Return, to file an amended (corrected) tax return. An amended return cannot be e-filed. You must file the corrected tax return on paper. If you need to file another schedule or form, don’t forget to attach it to the amended return. An amended tax return should only be filed to correct errors or make changes to your original tax return. For example, you should amend your return if you need to change your filing status or correct your income, deductions or credits. You normally do not need to file an amended return to correct math errors because the IRS automatically makes those changes for you. Also, do not file an amended return because you forgot to attach tax forms, such as W-2s or schedules. The IRS normally will mail you a request asking for those. If you are amending more than one tax return, prepare a separate 1040X for each return and mail them to the IRS in separate envelopes. Note the tax year of the return you are amending at the top of Form 1040X. You will find the appropriate IRS address to mail your return to in the Form 1040X instructions. If you are filing an amended tax return to claim an additional refund, wait until you have received your original tax refund before filing Form 1040X. Amended returns take up to 16 weeks to process. You may cash your original refund check while waiting for the additional refund. If you owe additional taxes file Form 1040X and pay the tax as soon as possible to minimize interest and penalties. You can use IRS Direct Pay to pay your tax directly from your checking or savings account. Generally, you must file Form 1040X within three years from the date you filed your original tax return or within two years of the date you paid the tax, whichever is later. For example, the last day for most people to file a 2014 claim for a refund is April 17, 2018. Special rules may apply to certain claims. Please call the office if you would like more information about this topic. You can track the status of your amended tax return for the current year three weeks after you file. You can also check the status of amended returns for up to three prior years. To use the “Where’s My Amended Return” tool on the IRS website, just enter your taxpayer identification number (usually your Social Security number), date of birth and zip code. If you have filed amended returns for more than one year, you can select each year individually to check the status of each. Don’t hesitate to call if you need assistance filing an amended return or have any questions about Form 1040X. If you’re thinking about hiring new employees this year you won’t want to miss out on tax breaks available to businesses with employees. If you’re a business owner and are wondering what tax breaks your business qualifies for, don’t hesitate to call the office and speak to a tax and accounting professional you can trust. Many students take on odd jobs over the summer to make extra cash. If this is your child’s situation, keep in mind that earnings received from self-employment are also subject to income tax. This includes income from odd jobs such as babysitting and lawn mowing. If your child has net earnings of $400 or more from self-employment, they also have to pay self-employment tax. Church employee income of $108.28 or more must also pay self-employment tax. This tax pays for benefits under the Social Security system. Social Security and Medicare benefits are available to individuals who are self-employed just as they are to wage earners who have Social Security tax and Medicare tax withheld from their wages. The self-employment tax is figured on Form 1040, Schedule SE. As a seasonal or part-time worker, you may not be required to file a federal or state return if the wages you earn at a part-time or seasonal job are less than the standard deduction; however, if you work more than one job, you may end up owing tax. As you can see, seasonal and part-time workers have unique tax situations. If you have any questions about your tax situation, please call. Contributions to a Health Savings Account (HSA) are used to pay current or future medical expenses of the account owner, his or her spouse, and any qualified dependent and are adjusted annually for inflation. For 2019, the annual inflation-adjusted contribution limit for a Health Savings Account (HSA) increases to $$3,500 for individuals with self-only coverage (up $50 from 2018) and $7,000 for family coverage (up $100 from 2018). To take advantage of an HSA, individuals must be covered by a High Deductible Health Plan (HDHP) and not be covered by other health insurance with the exception of insurance for accidents, disability, dental care, vision care, or long-term care. Medical expenses such as deductibles, copayments, and other amounts (but excluding premiums) must not be reimbursable by insurance or other sources and do not qualify for the medical expense deduction on a federal income tax return. For calendar year 2019, a qualifying HDHP must have a deductible of at least $1,350 for self-only coverage or $2,700 for family coverage (same as 2018) and must limit annual out-of-pocket expenses of the beneficiary to $6,750 for self-only coverage (up $100 from 2018) and $13,500 for family coverage (up $13,300 from 2018). As with contribution limits, deductibles and out-of-pocket expenses are adjusted for inflation annually. Please call if you have any questions about Health Savings Accounts. Don’t panic. You can usually deal with a notice simply by responding to it. Most IRS notices are about federal tax returns or tax accounts. Each notice has specific instructions, so read your notice carefully because it will tell you what you need to do. If your notice says that the IRS changed or corrected your tax return, review the information and compare it with your original return. If you agree with the notice, you usually don’t need to reply unless it gives you other instructions or you need to make a payment. If you don’t agree with the notice, you need to respond. Write a letter that explains why you disagree and include information and documents you want the IRS to consider. Mail your response with the contact stub at the bottom of the notice to the address on the contact stub. Allow at least 30 days for a response. For most notices, there is no need to call or visit a walk-in center. If you have questions, call the phone number in the upper right-hand corner of the notice. Be sure to have a copy of your tax return and the notice with you when you call. If you need assistance understanding an IRS Notice or letter, don’t hesitate to call the office. Be alert for tax scams. The IRS sends letters and notices by mail and does NOT contact people by email or social media to ask for personal or financial information. If you owe tax, please call to find out what your options are. U.S. taxpayers with undisclosed foreign financial assets should take advantage of the Offshore Voluntary Disclosure Program (OVDP) before the program closes on September 28, 2018. The planned end of the current OVDP also reflects advances in third-party reporting and increased awareness of U.S. taxpayers of their offshore tax and reporting obligations. More than 56,000 taxpayers have used one of the programs to voluntarily comply since the OVDP’s initial launch in 2009, paying a total of $11.1 billion in back taxes, interest, and penalties. The number of taxpayer disclosures under the OVDP peaked in 2011 when about 18,000 people came forward; however, the number steadily declined through the years, falling to only 600 disclosures in 2017. Stopping offshore tax noncompliance remains a top priority of the IRS and taxpayers should note that the IRS will continue to use other tools besides voluntary disclosure to combat offshore tax avoidance such as taxpayer education, Whistleblower leads, civil examination and criminal prosecution. Since 2009, IRS Criminal Investigation has indicted 1,545 taxpayers on criminal violations related to international activities and remains actively engaged in ferreting out the identities of those with undisclosed foreign accounts with the use of information resources and increased data analytics, according to Don Fort, Chief, IRS Criminal Investigation. A separate program, the Streamlined Filing Compliance Procedures, for taxpayers who might not have been aware of their filing obligations, has helped about 65,000 additional taxpayers come into compliance. The Streamlined Filing Compliance Procedures will remain in place and available to eligible taxpayers; however, the program may end at some point. For more information about the options available for U.S. taxpayers with undisclosed foreign financial assets, please contact the office. Thanks to the passage of the Tax Cuts and Jobs Act last year, there’s a new tax benefit for employers: the employer credit for paid family and medical leave. As the name implies, employers may claim the credit based on wages paid to qualifying employees while they are on family and medical leave. Employers must provide at least two weeks of paid family and medical leave annually to all qualifying employees who work full time. This can be prorated for employees who work part-time. 2. A qualifying employee is any employee who has been employed for one year or more, and for the preceding year, had compensation that did not exceed a certain amount. For employers to take this credit in 2018, the employee must not have earned more than $72,000 in 2017. 4. The credit is a percentage of the amount of wages paid to a qualifying employee while on family and medical leave for up to 12 weeks per taxable year. 5. To be eligible for the credit, an employer must reduce its deduction for wages or salaries paid or incurred by the amount determined as a credit. Any wages taken into account in determining any other general business credit may not be used toward this credit. 6. The credit is generally effective for wages paid in taxable years of the employer beginning after December 31, 2017. It is not available for wages paid in taxable years beginning after December 31, 2019. For more information about the employer credit for family and medical leave, please contact the office. 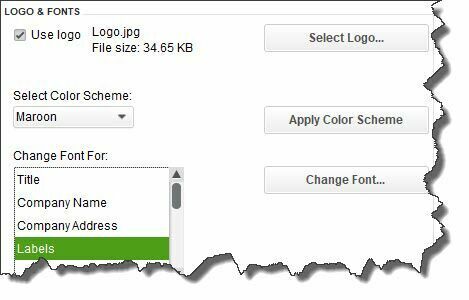 Figure 1: You can personalize your QuickBooks forms and make them consistent with any design themes your brand may use. Let’s look at the modification options for an invoice, though, depending on what version of QuickBooks you’re using, you can also work with sales receipts, purchase orders, statements, estimates, sales orders, and credit memos. Start by opening the Lists menu and selecting Templates. Highlight Intuit Product Invoice in the list. Click the down arrow next to Templates in the lower left corner and choose Edit Template. 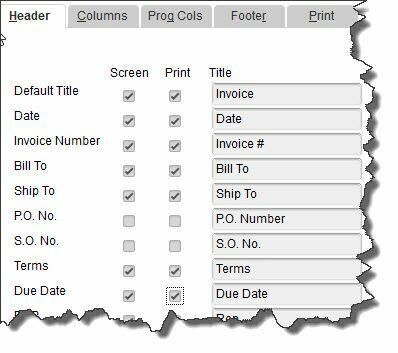 Figure 2: With the Header column highlighted, you can shape the appearance of the top section of your invoices. Caution: As you’re checking and unchecking boxes, a dialog box may open telling you that your changes will cause some fields to overlap on your form. If you click the Default Layout button, QuickBooks will make automatic adjustments to fix this. Clicking Continue means you’ll have to use the softwareâ€™s Layout Designer to make your own adjustments. This tool is not particularly intuitive, and it requires some design skills. If you must work with the Layout Designer, please call for assistance. When you click the Columns tab, you’ll see a list of the fields available for the main body of your invoices, like Description, Quantity, and Rate. This works similarly to how you just modified the Header, with one exception: You’ll be able to enter numbers in the Ordercolumn to specify the placement of each field. Here again, you’ll be able to watch a preview of your form change in the right pane. Whether you print and mail your forms or simply dispatch them electronically, we strongly encourage you to make them as professional and polished as you possibly can. Their appearance will enhance or detract from the image your customers and vendors have of your business. Please call the office if you need help learning about and implementing the customization options that QuickBooks offers. Employees who work for tips – If you received $20 or more in tips during May, report them to your employer. You can use Form 4070. Individuals – If you are a U.S. citizen or resident alien living and working (or on military duty) outside the United States and Puerto Rico, file Form 1040 and pay any tax, interest, and penalties due. U.S. citizens living in the U.S. should have paid their taxes on April 17. If you want additional time to file your return, file Form 4868 to obtain 4 additional months to file. Then file Form 1040 by October 15. However, if you are a participant in a combat zone, you may be able to further extend the filing deadline. Individuals – Make a payment of your 2018 estimated tax if you are not paying your income tax for the year through withholding (or will not pay enough tax that way). Use Form 1040-ES. This is the second installment date for estimated tax in 2018. Corporations – Deposit the second installment of estimated income tax for 2018. A worksheet, Form 1120-W, is available to help you estimate your tax for the year.